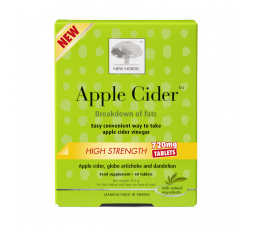 Highly concentrated bio-available apple cider vinegar with globe artichoke and dandelion. 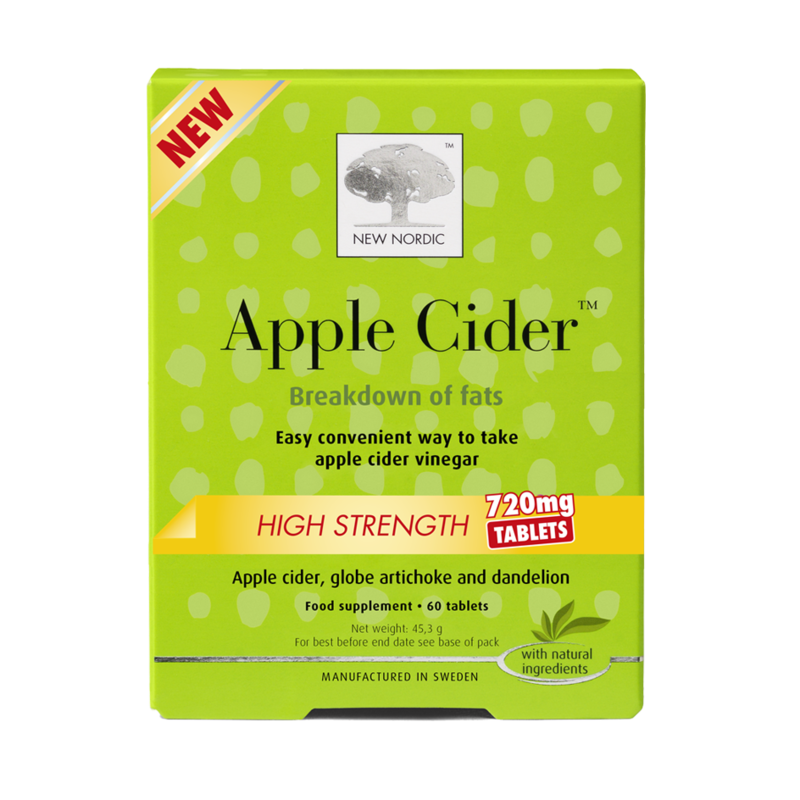 New Nordic's Apple Cider tablets are recommended to people who want help to manage their fluid levels and break down of fats in the digestive system. 3. Improves bowel movement and digestion. Take 2-3 tablets with a glass of water at breakfast. Free from salt, sugar, lactose, yeast, gluten and soy. No artificial colourings or sweeteners.